When you participate in business development training, how do you approach it? If you’re early in your career, you probably have few illusions about your current skill level, so you’ll be eager to learn. But what if you’re more senior? What’s your attitude? For many reasons, firm leaders should participate in the sales training programs in which they've invested their firms' money. Senior lawyers recognize that their participation is important to demonstrate the firm's seriousness of purpose, but they may believe that they will obtain little practical value from sales training. After all, most firms' leaders are pretty successful business originators. "Coming empty" to training is one of the most difficult things that people have to learn. Many have great difficulty; they arrive with the attitude that they already know most of what there is to know about sales and selling, thinking, "Maybe one or two points will be made that will be new to me." They expect to reinforce or confirm their own point of view. This is a self-fulfilling prophecy; they find almost exactly what they expected—nothing much that would help or advance them by any measurable amount. However, the recession, and the market shifts that it triggered, are now too far in the rearview mirror for anyone still to harbor the delusion that the skills you had when it was easy to get business are sufficient under the more difficult conditions that will prevail for the balance of your career. Part of this can be explained by the principle of Unconscious Incompetence, which is the first of four stages of competence, and states that, for any new endeavor, we don’t know what we don’t know. Unfortunately, when we’re at that stage, we tend to be overconfident of our innate ability to do the new thing, based on our ignorance of what it actually takes to do the new thing. With that mindset, we don’t recognize a skill deficiency, so we have little appetite for training or coaching. By now, though, senior lawyers should have experienced sufficient business development struggle over the past nine years to have transitioned to Stage Two, Conscious Incompetence, in which we now recognize that the thing we have to do is much more difficult, or complicated than we previously thought, and that we’d be well served to get help so we can improve. The corporate world long ago proved that experienced, skilled, high-performing people who come to training open-minded and soak it all up like a sponge, apply what they learned consistently, and seek coaching and feedback, can go to an entirely different dimension in their performance. So, yes, as a senior leader, it’s important that you participate in marketing/sales training to show support for the program, but acknowledge, too, that you really do need to participate actively to improve your own skills and results. 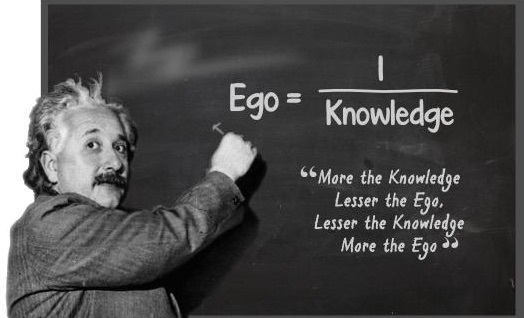 No matter what kind of training, for best results check your ego at the classroom door. I offer this advice to lawyers about to undertake my sales training program, but I believe it is relevant to all forms of training.